Dave Selfe photographed the 16 day old Moon on the 18th November 2005 through the eyepiece of his 200 mm Orion Europa reflector using an Olympus C500 digital camera. He arranged the image so that it shows the moon as it appears in the sky rather than in the eyepiece. 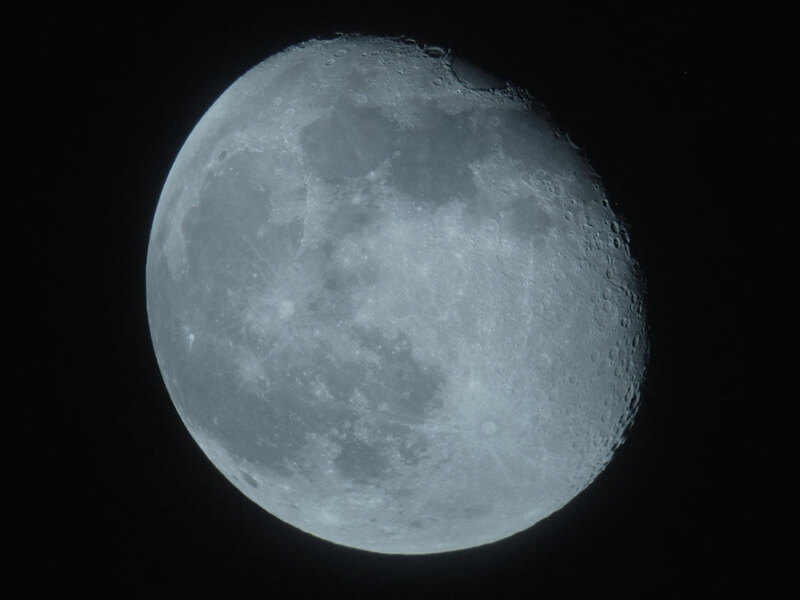 The 16 day old Moon was photographed by Simon Allcock on the 18th November 2005. 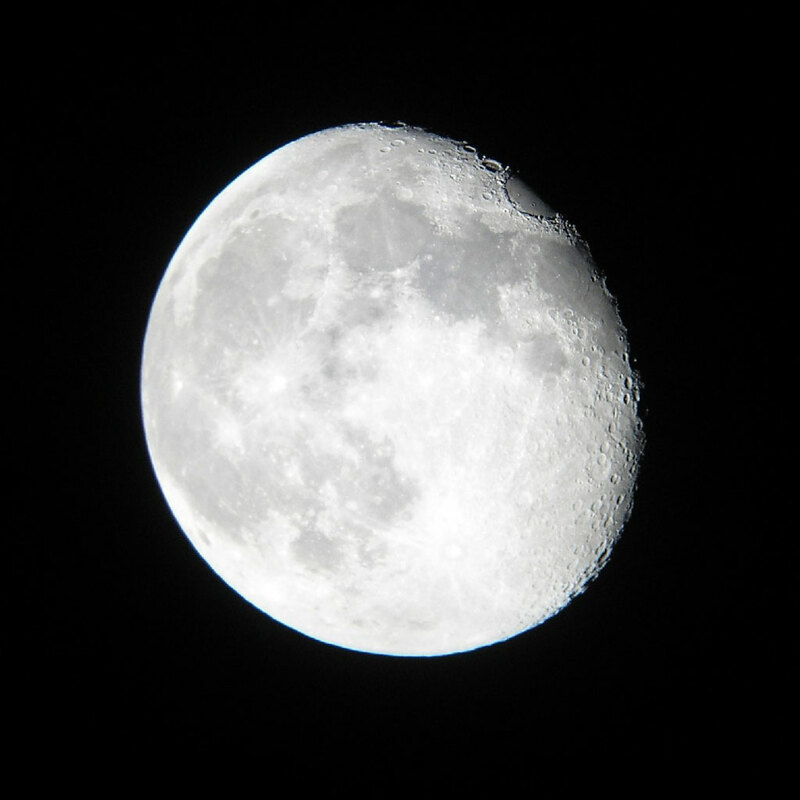 He used a hand held Fuji Finepix A330 digital camera looking through a 32mm eyepiece on his Meade LX90. The image was then processed in Photoshop v9.